The Eagle Has Landed — Baby Bird Sighting! Oh baby! Gazelle (finally) has something other than an egg to watch over! Joy and rapture! 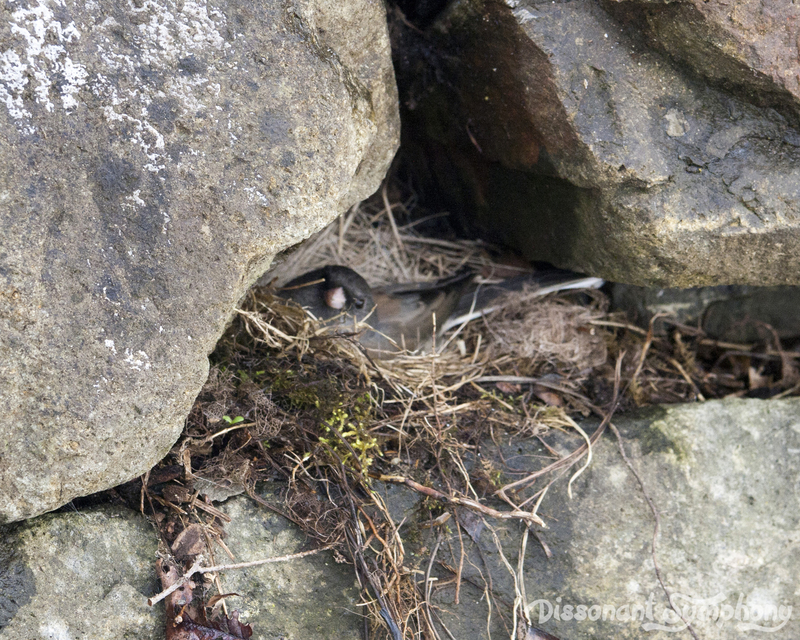 She was still on the nest just an hour ago – but on a hunch, I checked again before lunch. Well, there goes my appetite. Eww. Eww. Eww. Baby birds are not cute. Is this like how nobody ever says a newborn baby is ugly…even when it obviously is? 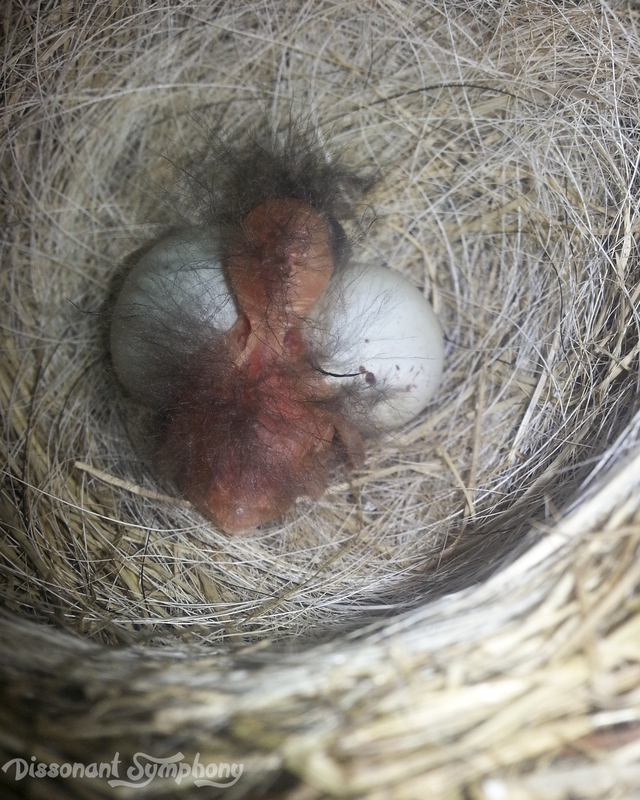 Why didn’t I know newly hatched birds are pink, patchy haired and pretty horrid looking? “Is it dead?” my daughter asked as I snapped a single picture. How do I answer her? I honestly don’t know. It didn’t move while we were gazing at it, but then again, we weren’t looking very long. We skedaddled quickly as Gazelle returned, hopping angrily along the fence line where we stood. This momentous event warranted a whole two lines in the bird journal. “A baby bird was born. It is very ugly.”. 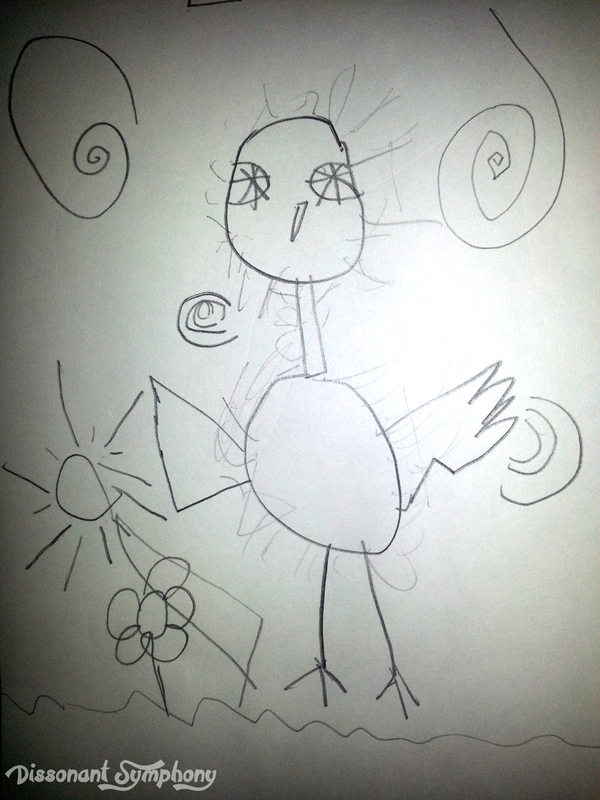 Madison also sketched this remarkable likeness of the baby. 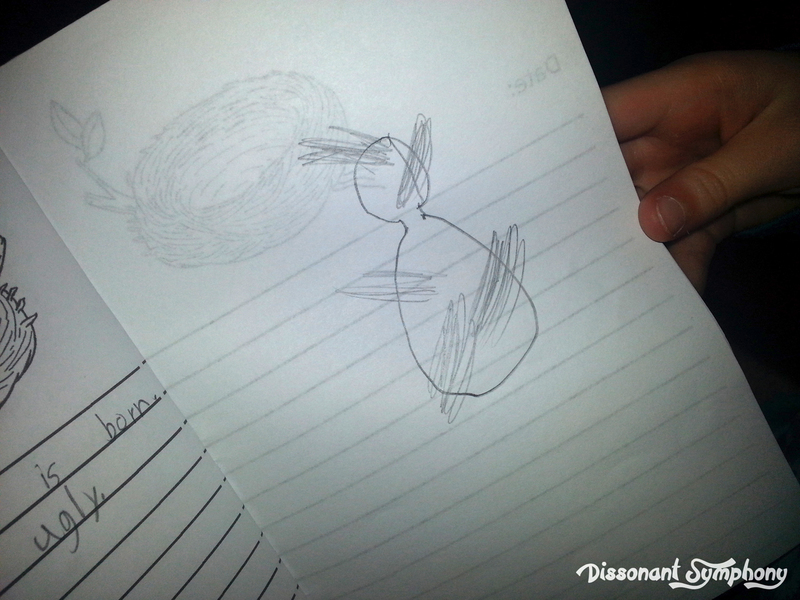 My son, confined to his bed with a tummy bug, had to draw his version using my photo as a reference. Hopefully tomorrow we’ll have more babies, and will be able to confirm actual life.